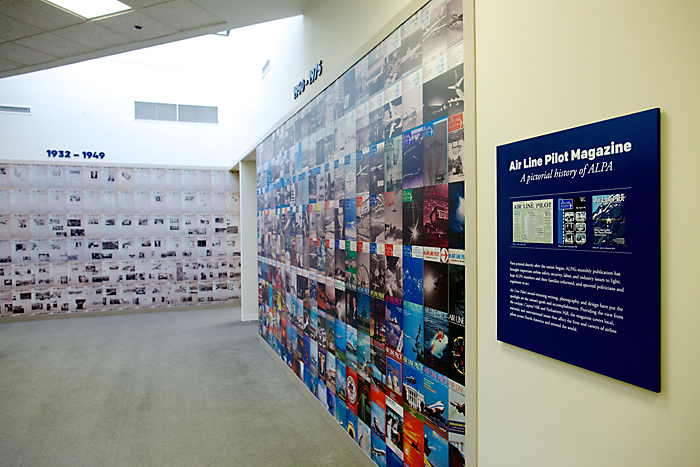 As part of Phase 1, our work with the The Air Line Pilots Association included concepting a design solution for their lounge area. 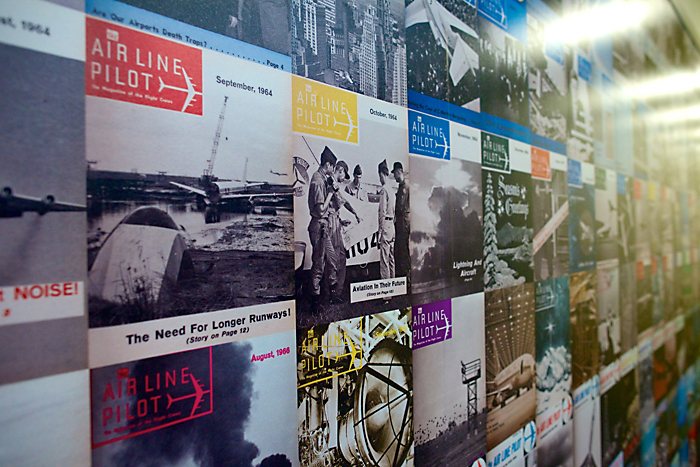 The lounge area was a multi-functional hi-traffic space that needed maximum flexibility in terms of hosting events, refreshments and food stations. 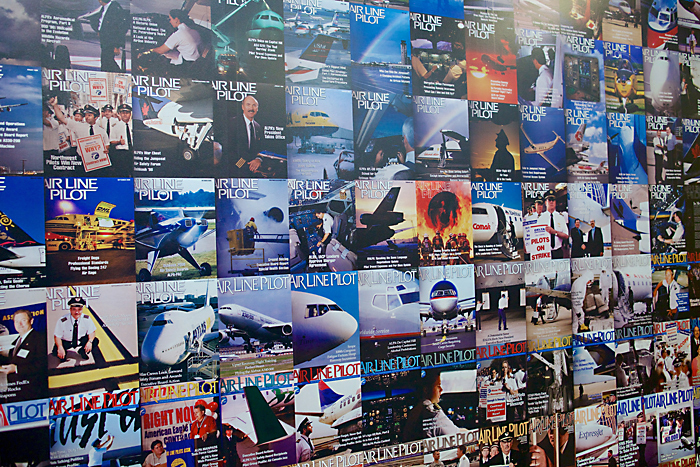 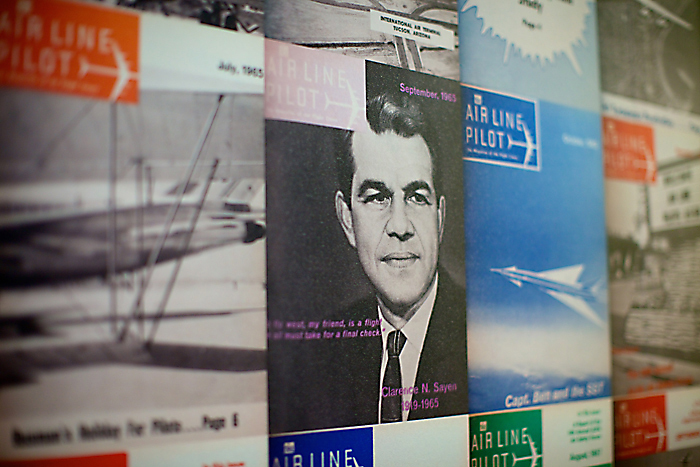 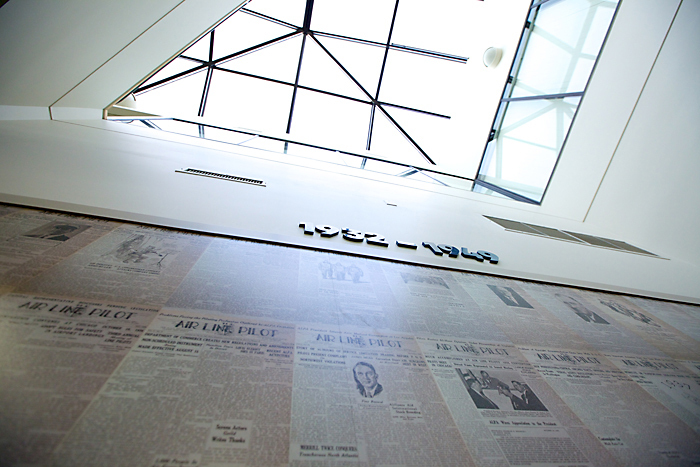 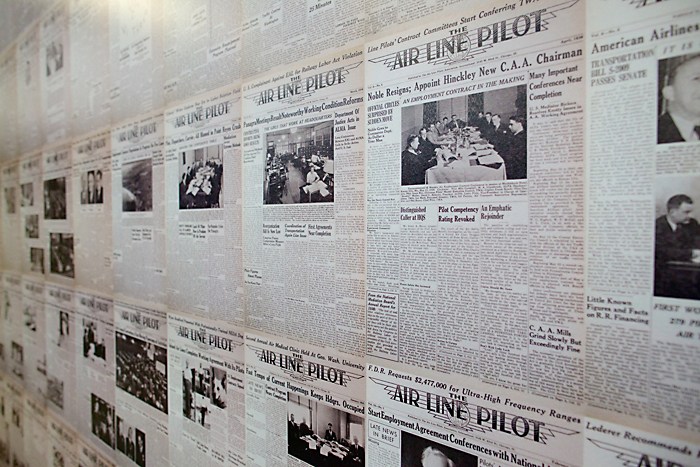 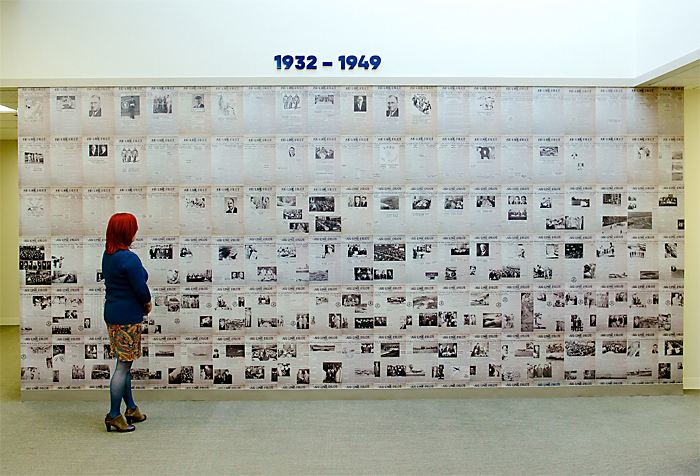 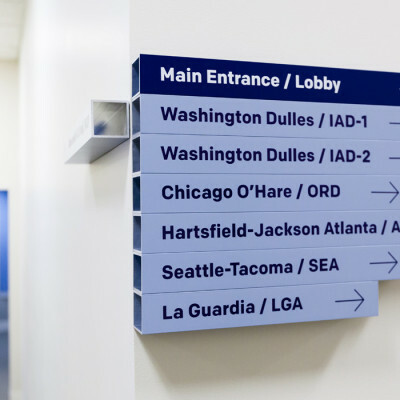 Our design solution was to cover the walls with ALPA’s self published industry trade magazine Air Line Pilot using an extra thick textured laminate. 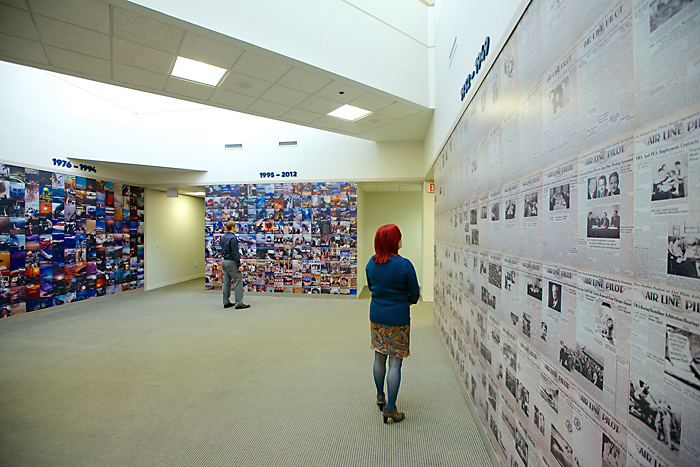 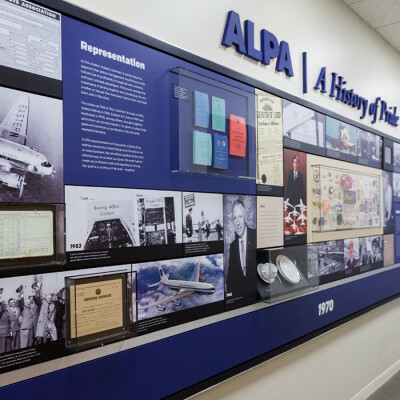 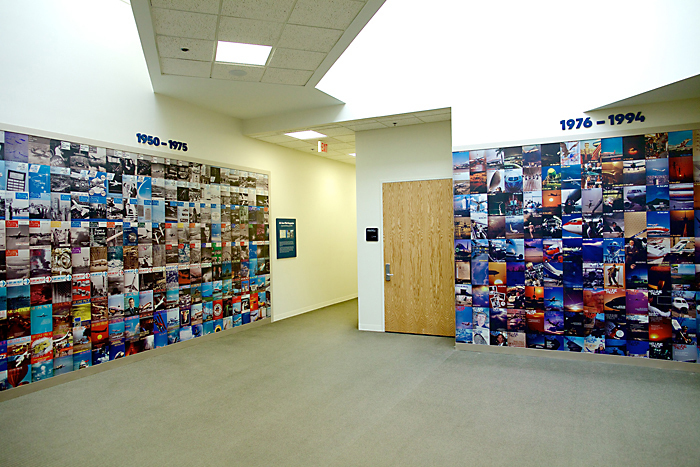 Not only were we able to tell ALPA’s history from a first person ‘present’ perspective, but we also provided a visually interesting background that can withstand food and drink spills plus the occasional knock from a food cart.